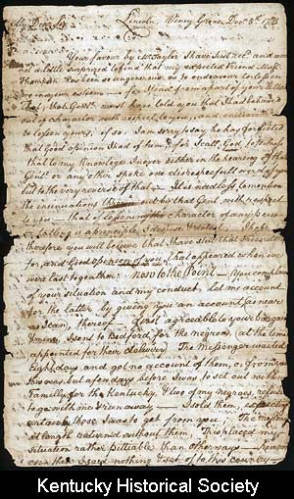 This letter was written by Stephen Trigg in 1781. Trigg was killed a year later at the Battle of Blue Licks. Courtesy of the Kentucky Historical Society.